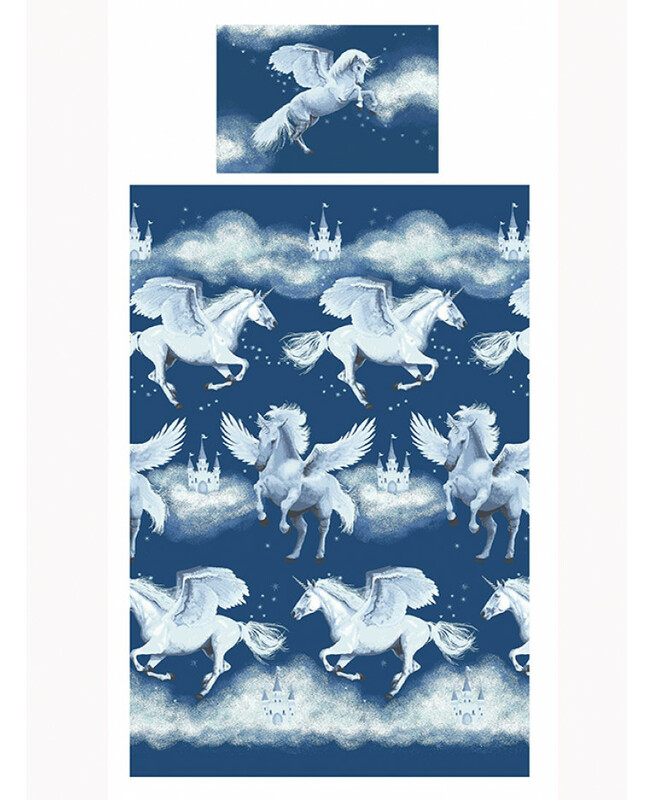 This enchanting Stardust Unicorn single bedding set features unicorns and fairy castles accented by white stars and clouds on a stylish navy blue background. 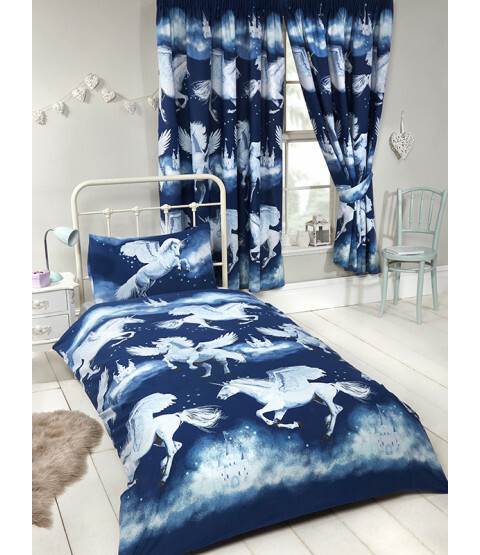 Made from a polycotton blend, this bedding set is suitable for machine washing and tumble drying on a low setting. 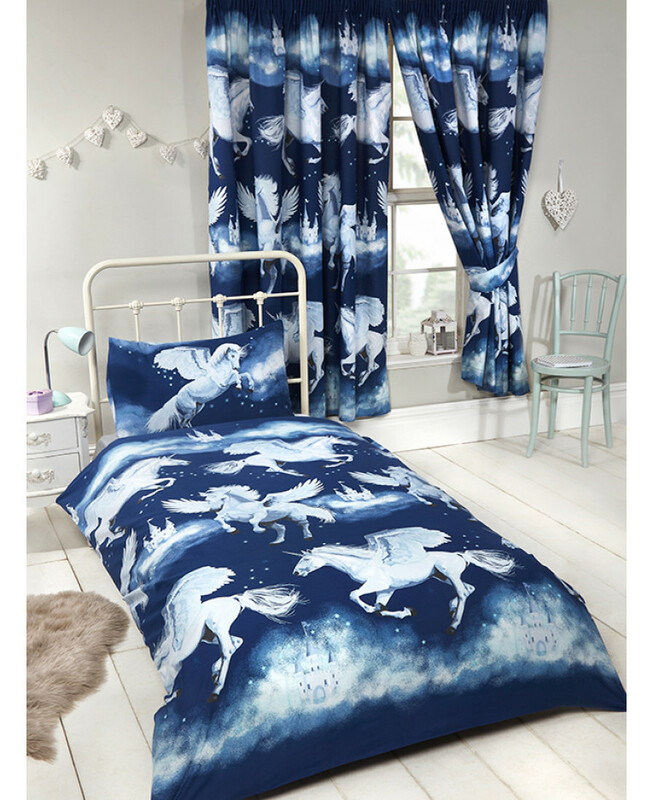 Matching curtains plus more sizes and colours are also available to purchase.